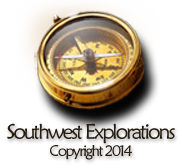 After passing through the Williams area and down Partridge Creek, the Whipple expedition headed southwest, looking for the “Bill Williams Fork” mentioned by Sitgreaves. They entered Chino Valley near Picacho Butte and then found a creek flowing out of the mountains on the other side of the valley. They followed this creek into the mountains and discovered an Indian ruin on a hill near the creek. 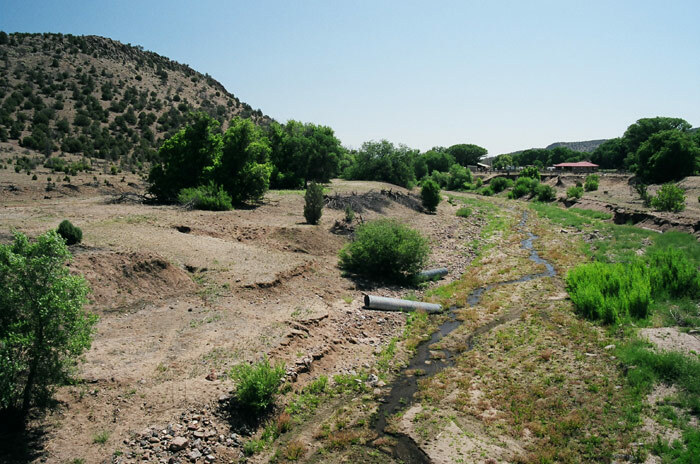 They named the creek Pueblo Creek (it’s now Walnut Creek) and the mountains the Aztec Range (Juniper Mountains). Walnut Creek (Whipple’s Pueblo Creek. 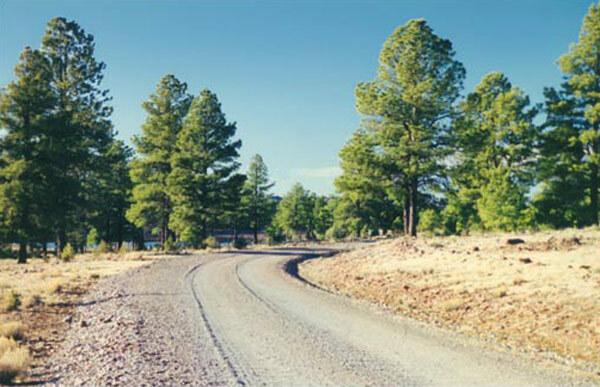 Indian Hill on left and K4 Ranch on right. Tom Jonas photo..
January 17 . –…As we proceeded, about three miles from south to southwest we encountered another stream, somewhat larger than the last, also flowing through a fine valley towards the southeast. We ascended its left bank two miles. Here two branches formed a fork, within which was a smooth, grassy hill about fifty feet high. Upon the top were remains of an ancient pueblo. January 23 . — To obtain a still more extensive view, Mr. Campbell climbed a steep hill, several hundred feet above the ridge of the pass, formed by a short spur from the abrupt termination of the northern mountain chain, and found on top ruins of another fortification. Its length was one hundred feet. It was twenty-five feet wide at one end and twenty at the other…From a fancy founded on the evident antiquity of these ruins, we have given the name of Aztec Pass to this place. 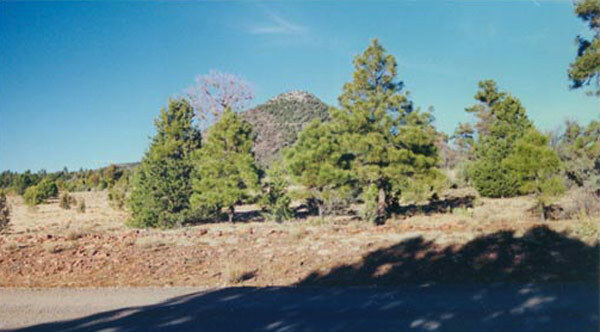 The small spur that Campbell climbed overlooking Aztec Pass. Tom Jonas photo. The view to the west from the same spot. Tom Jonas photo. January 18. –…Mr. Campbell and myself walked to the top, and found ourselves upon the summit dividing the waters flowing west from those of Pueblo Creek. The western slope was not steep, but wide and smooth descending to an open valley that appeared to extend far towards the west-northwest. Note: For more information about Whipple’s road beyond this point, through the Luis Maria Baca Float No. 5 and the ORO Ranch see my paper “A Visit to the Baca Float” in the “Articles” section of this website.